April: Sea trout and Brown trout. May: Sea trout, Brown trout and Arctic char late in the month. June: Brown trout, Arctic char and Salmon late in the month. July: Arctic char, brown trout and Salmon. 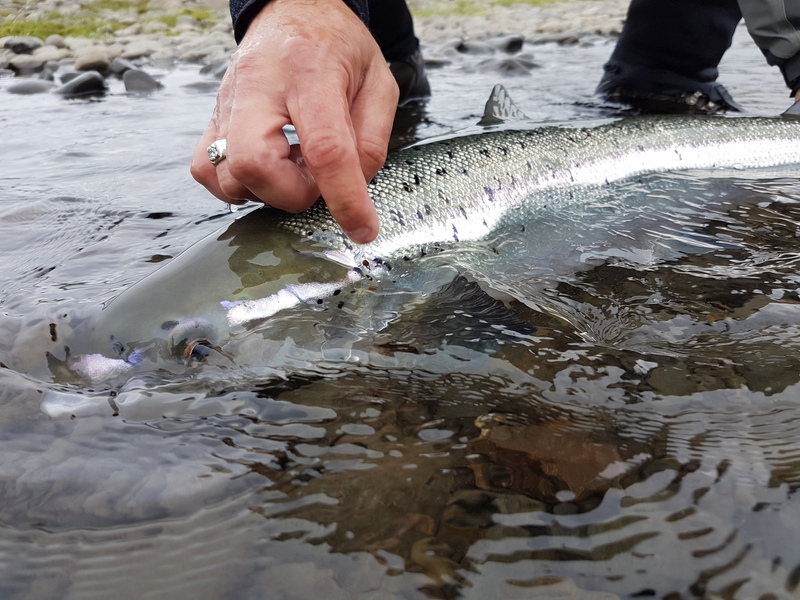 August: Salmon, Arctic char, Sea trout and Brown trout late in the month. September: Salmon, Sea trout and Brown trout. October: Sea trout and Salmon.